What is Solid-State Relay (SSR)? For switch on/off effect solid-state relays depends on transistors, thyristors or some similar components – not coil with moving part. Therefore very durable, suitable for high switching frequencies and unfavorable environmental conditions (such as environments with explosive gas mixtures). With semiconductor relays it is possible to switch AC voltage during the zero crossing, whereby disturbing pulses can be avoided. A galvanic isolation between the control circuit and the load circuit is achieved with semiconductor relays by integrated optocouplers in the component. Semiconductor relays have higher losses in the load current path than mechanical relays and therefore often have to be mounted on a heat sink. In addition, there are semiconductor relays that switch at the peak of the mains voltage or immediately when driving, vertex switches are used to switch inductors that have little or no residual magnetization and thus no hysteresis. What Are Advantages, Disadvantages of Solid-State Relay (SSR)? 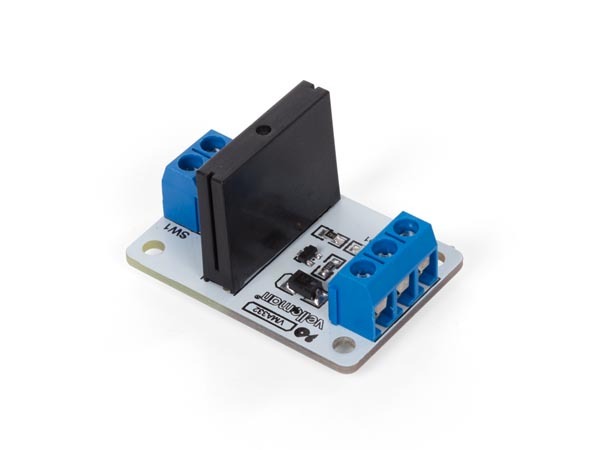 Both, electromagnetic relay and Solid-State Relay (SSR) needed for a beginner to test for controlling DC things. However, using Solid-State Relay (SSR) for AC household supply demands higher experience for making sure that the circuit is fault free. Electromagnetic relays are time tested “switches” suitable for many works and working principle essentially easy. The back surface is usually made of smooth metal, designed to be bolted with heatsink grease to a heatsink. Heatsink can be just a large enough metal plate rather then a finned one. This Article Has Been Shared 2401 Times! Here is How To Develop Clap Switch Using Arduino Uno And Microphone With Circuit Diagram, List of Components and Code. It is a basic project. It isTrue That Arduino itself Can Analyse Music Input. But Arduino Spectrum Analyzer With MSGEQ7 IC Makes the Total Thing Professional Grade. Here is Basics, Setup & Code for Arduino TEMT6000 Ambient Light Sensor. Ambient Light Sensor is used in electronic devices. SI Unit of ambient light is Luminance (lux). Here is Circuit Diagram and Code To Make LED Switch On By Push Button Switch Off By IR Obstacle Sensor and Arduino Board. What Will Make Arduino To Read Data From Electronic Device? What Will Make Arduino To Read Data From Electronic Device? Quite Common Question and We Hope We Will Clarify the Basic Theory and Practical Around What to Do. Cite this article as: Abhishek Ghosh, "Solid-State Relay (SSR) For Arduino," in The Customize Windows, June 10, 2018, April 21, 2019, https://thecustomizewindows.com/2018/06/solid-state-relay-ssr-for-arduino/.